As the youngest of four, Dylan has always been the baby. But don’t let that fool you; she’s not your average baby sister. Growing up with three older brothers left Dylan with a lack of femininity and in its place, a real guy’s girl personality. Sports, beer, burping, you name it; but don’t even think about going near her feet with a pair of heels. When Dylan meets Tyler Vaughn, the famous and devastatingly attractive football superstar at work one morning, she’s thrilled by his good stats, not his good looks. But the wide receiver—and sweet romantic—throws her for a loop when he pursues her despite what she knows is missing, her feminine charm. Now Dylan must reconcile the fact that this guy may actually like her, and even scarier, she may like him back. Dylan speaks sports and sarcasm fluently but romance, now that’s something completely foreign to her. What’s an emotionally-allergic guy’s girl supposed to do with a hopeless romantic? But he didn’t answer. Actually, he did, but not with words. He gently rubbed his hand over my bump before he slid it down brushing my cheek with his thumb and slid his hand back around my neck. I didn’t know what to expect, I was so surprised by the intimacy of his touch and the wild beating of my heart in my chest at his closeness. Whereas this would be the part where I’d crack a joke to break the tension, I couldn’t even think. My brain was blank, barely registering the way his hands felt on my skin or the sight of him so close to my face. Formulating words were beyond me. He slowly closed the distance between us. His other hand rose up and slipped it into my hair same as the first before he gently leaned down, stealing the lightest whisper-soft kiss. He didn’t linger, it felt like the kiss was over in the blink of an eye. But even despite the brevity, I still felt like I had been given a swift kick in the chest. My heart was beating a frantic rhythm, and I was winded like I had just run an all-out sprint. He pulled back enough so I could look up into those blue eyes of his that were so light that you could still make them out in the dark. His hands were still holding me, and my own hands were gripping his shirt tightly, clinging to him for balance. “What,” I stuttered, unable to speak because he’d annihilated my senses. “I wanted to wait, to give you time. But tonight, watching you, and hearing you laugh, I just couldn’t stop myself. I had to kiss you,” Vaughn said, his words feathering over my skin. “Oh,” I said, still stunned. I was still missing something. I continued to look at him, my brain misfiring. I couldn’t get it to work, I just stood there mindlessly. Vaughn leaned down again, my stomach clenching in nervous anticipation. But this time, he only pressed a kiss to my forehead. “Okay,” I answered breathlessly. My heart had yet to slow down. Vaughn chuckled quietly. “Goodnight, Dylan.” “Goodnight, Vaughn,” I whispered, unmoving. “This is the part where you go inside,” he said, his smile widening. “Uh-huh,” I nodded stupidly. Vaughn laughed before taking my keys out of my hand. He unlocked the door for me and gently pushed me through. I looked back at him again, trying to riffle through the scores of information that had entered my brain in the last ten minutes but had yet to be processed. “I’ll talk to you tomorrow,” he said smiling. He gave me a quick wave before he walked away. I numbly walked up the stairs. It wasn’t until I was inside my apartment, sitting on my bed that my brain finally started working again. I touched my fingers to my lips, the phantom feel of Vaughn’s moving against them still lingering. This whole time I had been convinced that I’d get over my crush eventually. I’d been sure that this was just a friendship, nothing more. But I was wrong. Slippy? Slappy? Swanson? Samsonite, I had been way off. I smiled. He kissed me. 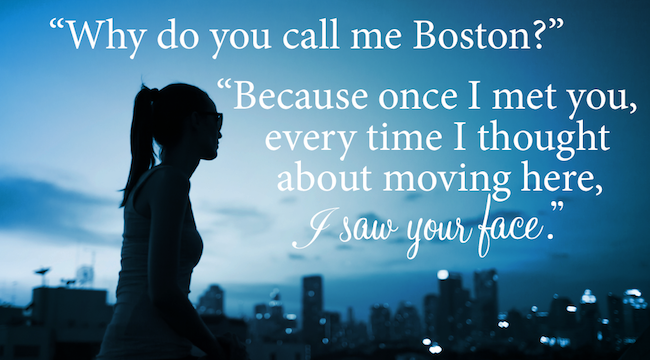 Leslie Kate, despite growing up in Upstate New York, is crazy about everything Boston. 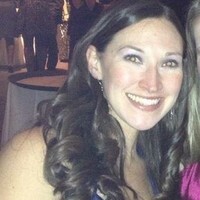 She attended the University of Massachusetts Amherst where she studied sports broadcasting. There, her lifelong Boston sports addiction blossomed into the fanatic she is today. 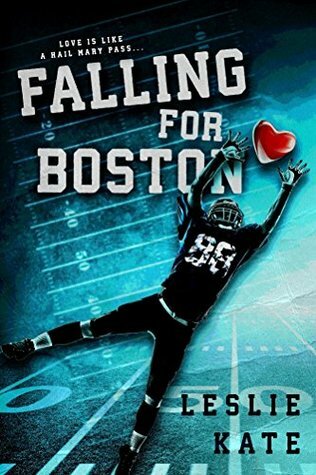 Having dabbled with the idea of writing a book since high school, she finally put pen to paper (or fingers to keyboard) and wrote her first book, "Falling for Boston," where she combined her passion for the written word with her passion for sports and the City of Champions. She also loves cooking, but not cleaning; dogs, but not cats; and shoes, but not purses or jewelry. She owns one pair of Christian Louboutins that she sometimes just wears around the house because she likes to look at them.